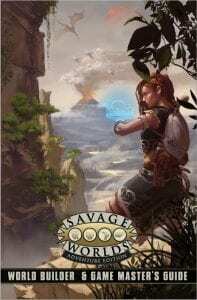 Tomorrow (Wednesday, February 13th), Heroes of Terra: The Mushroom War for Savage Worlds Adventure Edition launches on Kickstarter! Heroes of Terra: The Mushroom War, from Ace licensee Blackwing Productions, is an homage to pulp sword-and-sorcery settings slammed together with classic video games of the early ’80s. Grow huge, jump high, eat mushrooms to gain magical powers, and smash open stone blocks filled with treasure! 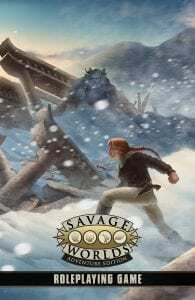 Adventure in a world where the dinosaurs never died out and humans are rare, mythical heroes. 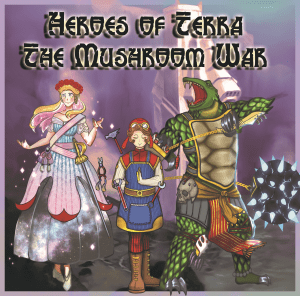 Heroes of Terra: The Mushroom War is the first full-length setting book for the world of Terra, focusing on the continent of Lemuria and the epic struggle between the Peachblossom Resistance and the tyrannical Dragon Empire. 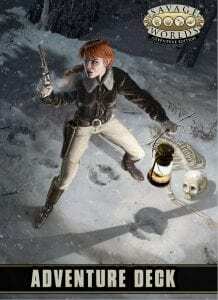 This book will give you everything you need to adventure in the pulp-fantasy world of Terra and explore its wonders, mysteries, and terrors. To learn more, pick up the 12-page Heroes of Terra JumpStart Edition today. With your purchase, you’ll be the first to know when the Kickstarter is live!